Triple jumpers soared in Pennsylvania last season. In arguably the most exciting event of the day at the indoor state meet, Milton Hershey's Treyvon Ferguson leapt past Imhotep's Akeem Cooper and Harrisburg's Jakari Lomax to win the state title. 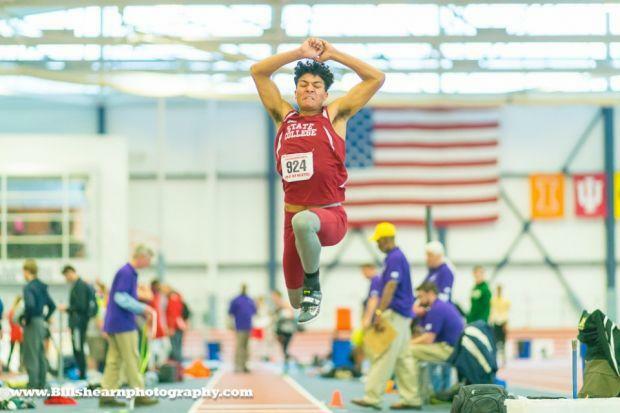 Ferguson eventually took second at indoor nationals and jumped well past 50 feet outdoors. He's at Kansas now and Cooper has graduated to the next level too at Youngstown State. Lomax (above) is the lone boy in that trio that returns. He was second to Ferguson at states last year, jumping his all-conditions PR of 48-07. Lomax has a habit of jumping his best at the right time and he'll look to better that into his senior year and add a state title. He was fourth at outdoor states in AAA. His top challenge will come from Lance Hamilton (above) of State College Area. Hamilton was fourth at indoor states a year ago, jumping his indoor best of 47-08.5 at Penn State. Outdoors, he got even better, taking third in the state in AAA and eventually jumping a PR of 48-09.5 at outdoor nationals. Look for the senior to compete for the state crown indoors. His teammate Stanley Hamilton will also be a factor. Stanley was fifth at indoor states, leaping his best of 46-09. He better that by a little over an inch in the outdoor season and will be looking for another improvement this season. Coatesville's Naheem Moore is another returning medalist from a year ago. His indoor PR came at the state meet, jumping 45-11 to place seventh. He was sixth outdoors and will be one to watch this winter. The other returning state qualifiers from last year are Neshaminy's Logan Williamson, Penn Charter's Akeel Blake, and State College's Jake Hefkin. Williamson leapt 46-09 outdoors last year. Blake is the top returning non-senior in PA this season. Hefkin is one-third of SC's talented triple jump trio and a strong long jumper as well. 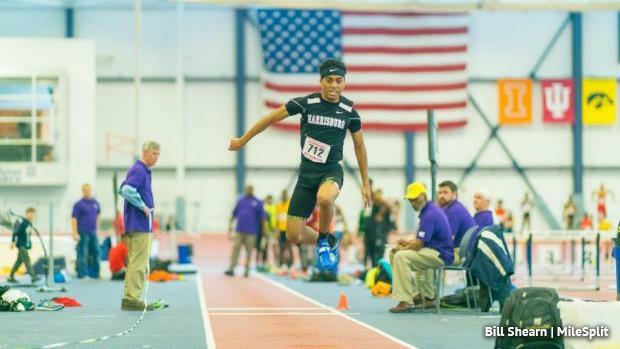 Check out the top 200 boys triple jump returnees below.